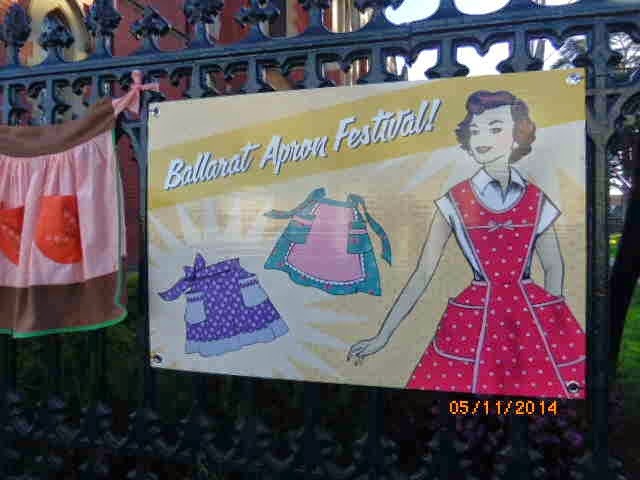 Patra's Embroidered Aprons: Ballarat Apron Festival. 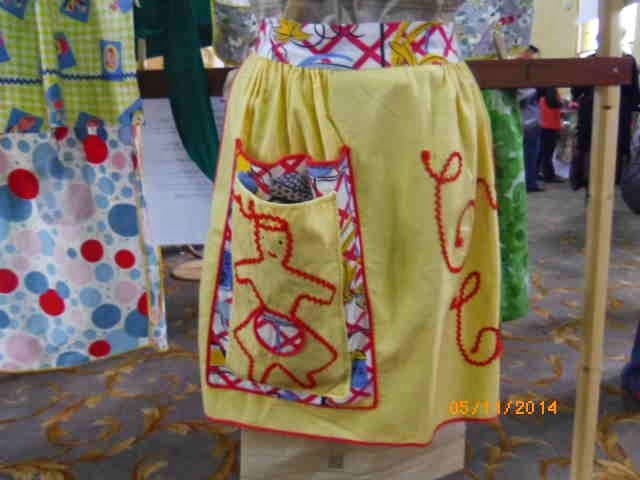 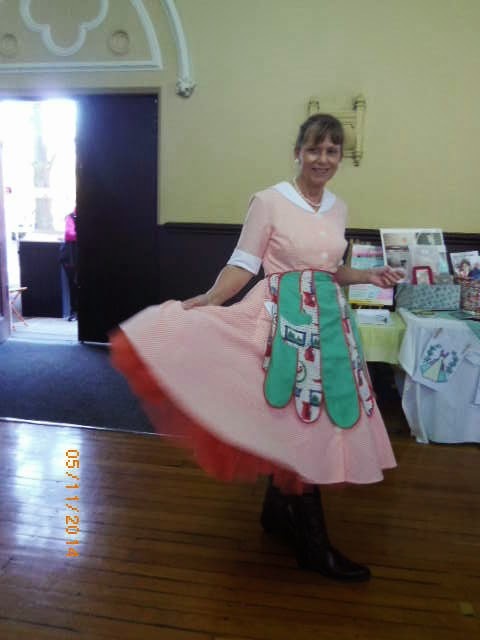 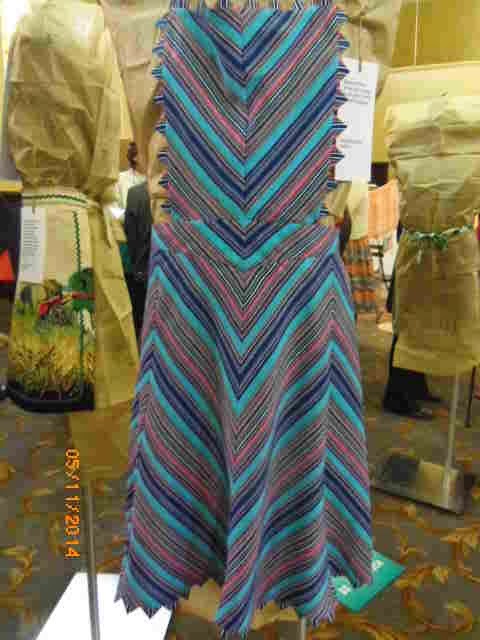 The two aprons I submitted for the Festival both sold for the prices I put on them, which was a pleasant surprise when we saw them last Sunday. 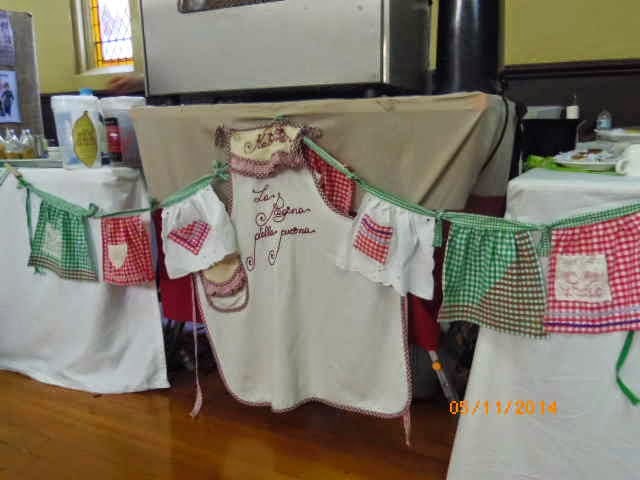 I took heaps of photos, and will post as many as Blogger will allow without cutting me off in midstream! 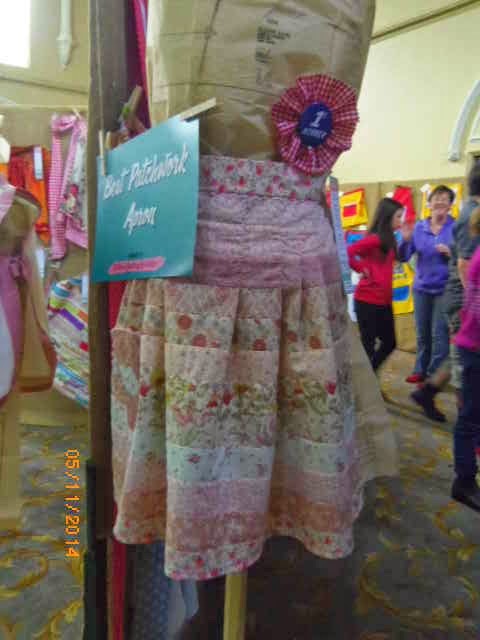 I'll add comments to some pics where there is something worth noting. 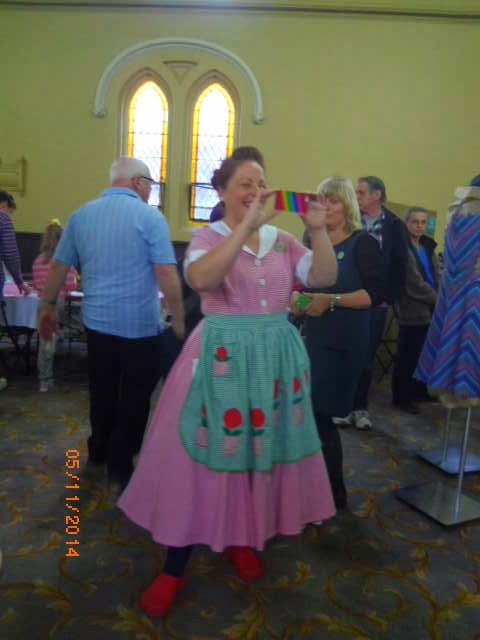 The show was held in a lovely old church hall. 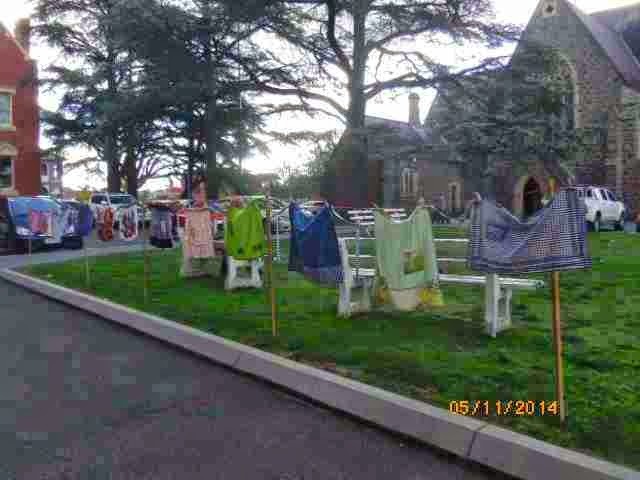 Aprons lined the footpath up to the hall. 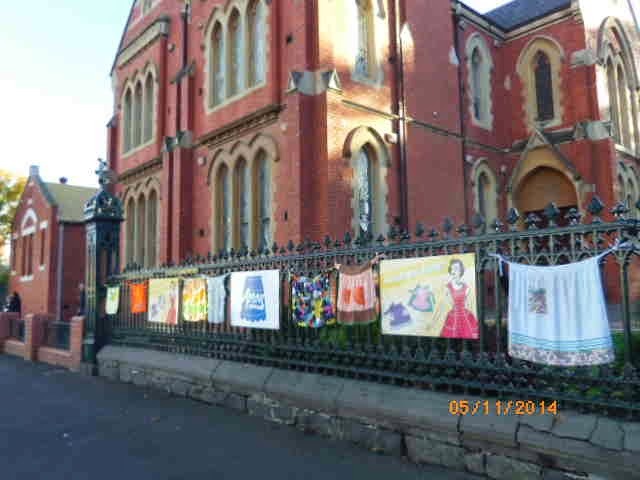 Just as well it didn't rain! 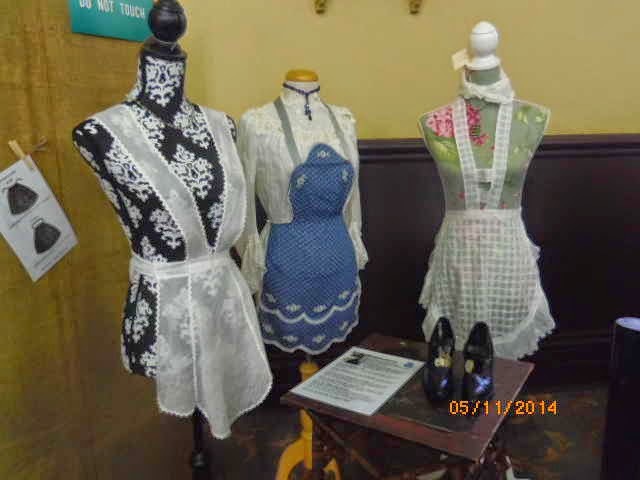 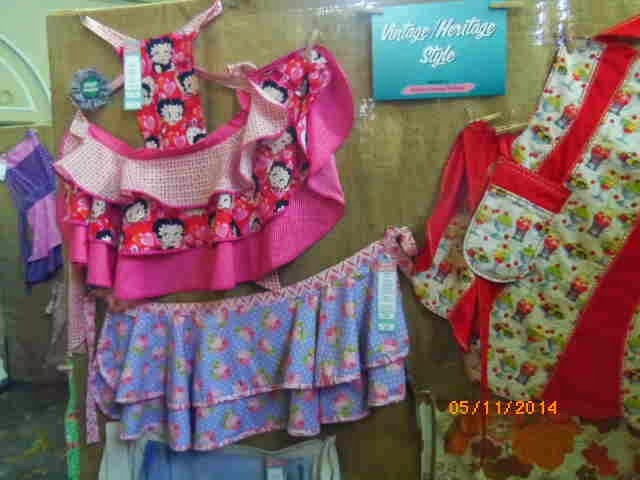 My gingham apron on the left of this display sold for $15. 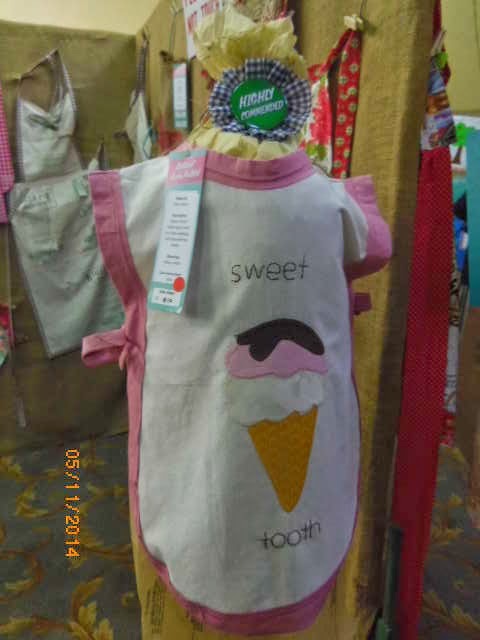 And the childs "Sweet Tooth" sold for $10. 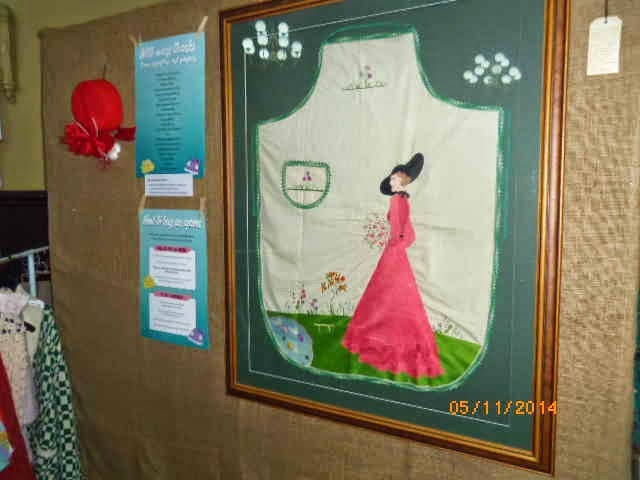 Note the "Highly Commended" sticker at the top. 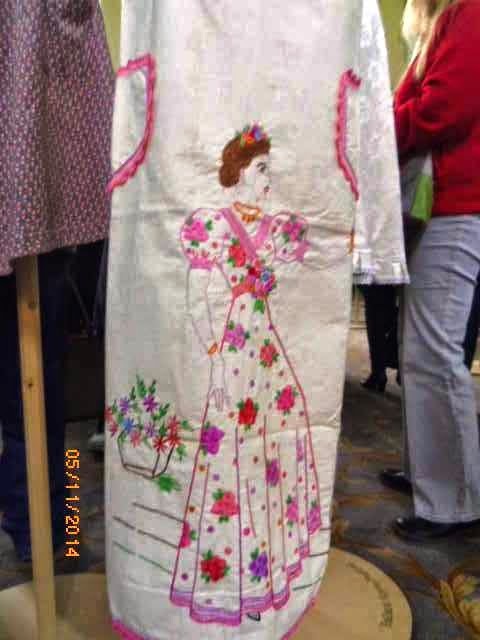 Somebody must have liked it! 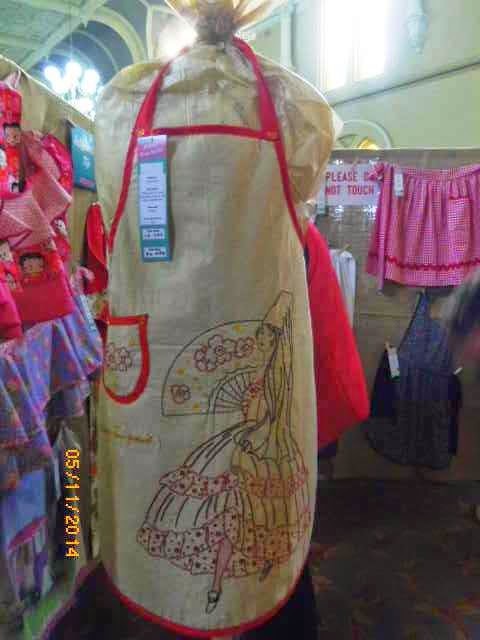 There were some beautiful vintage embroidered aprons obviously from a private collection. 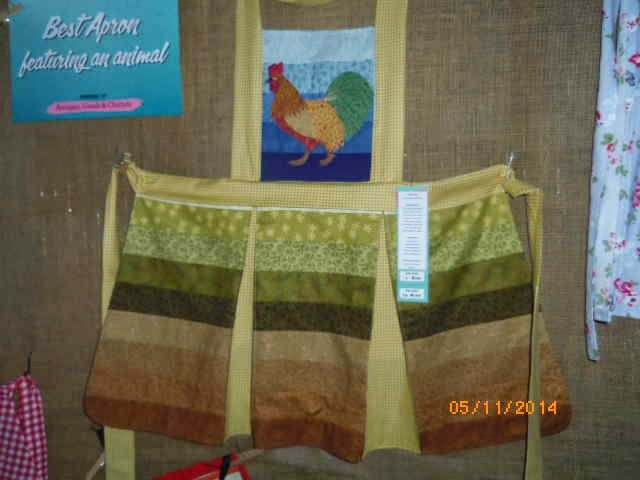 Lots of chooks on aprons! 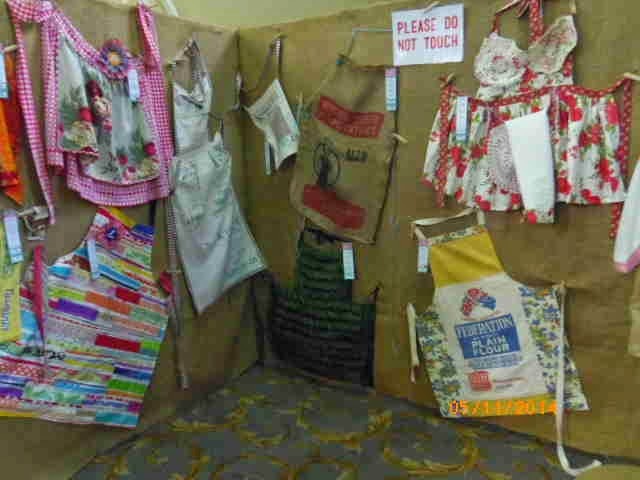 This section was from a local primary school. 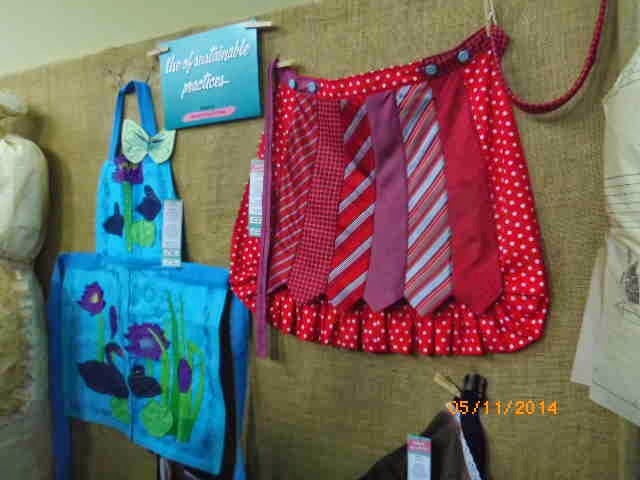 Just one apron made using mens ties - it gave me an idea for next year's festival! 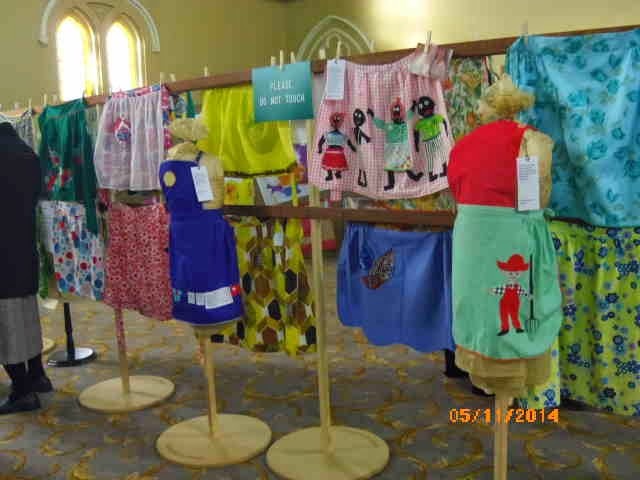 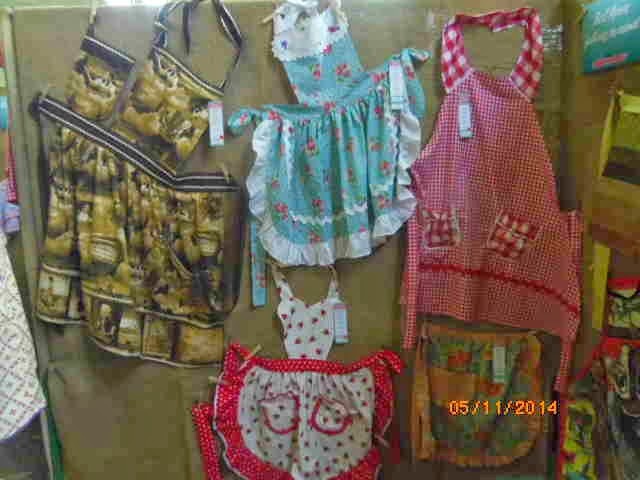 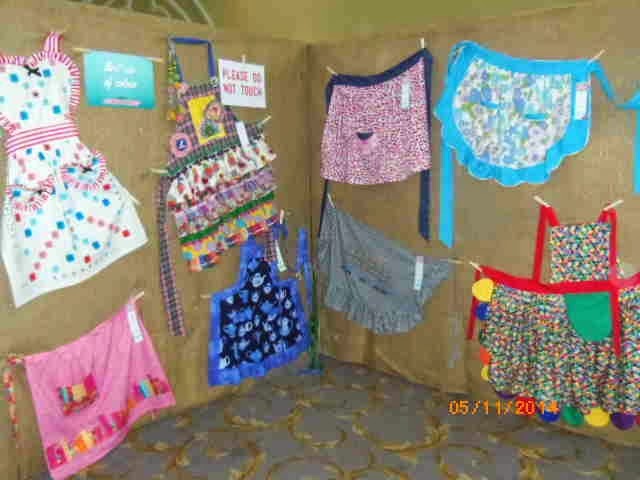 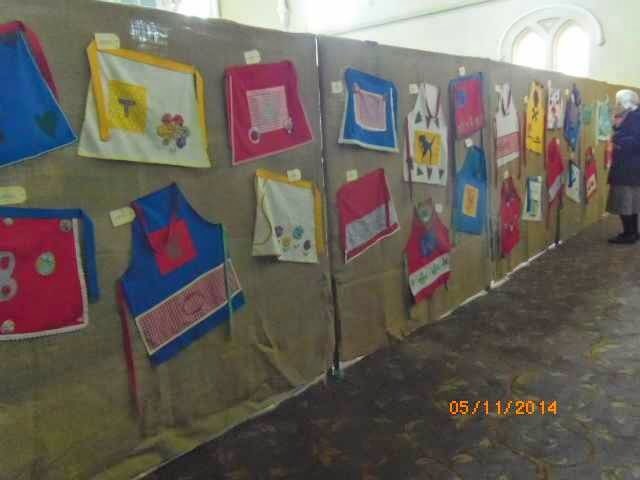 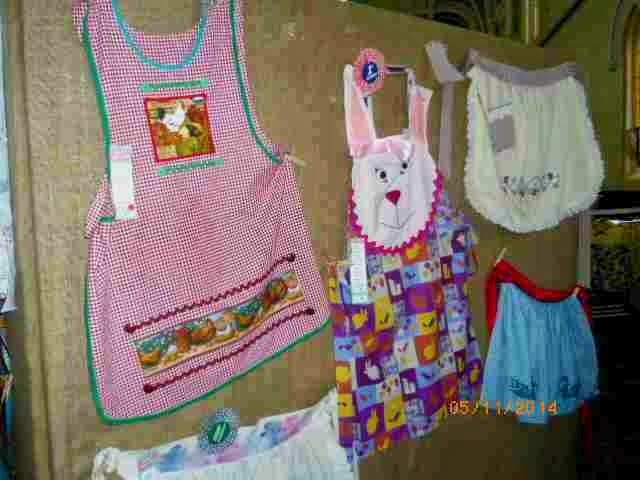 A large number of vintage chicken scratch aprons on display. 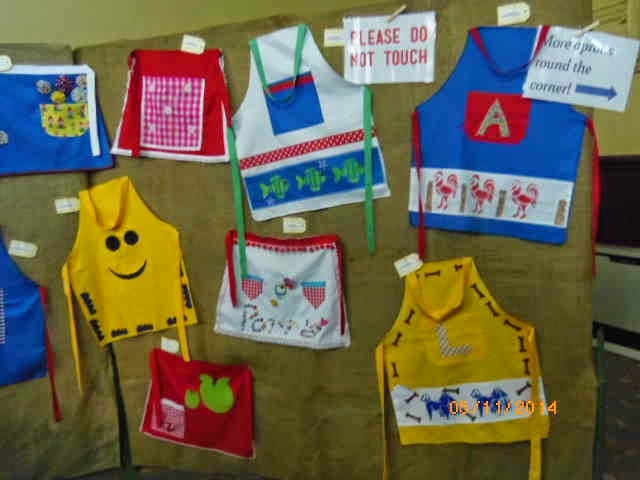 Lots of ric rac used on many aprons! 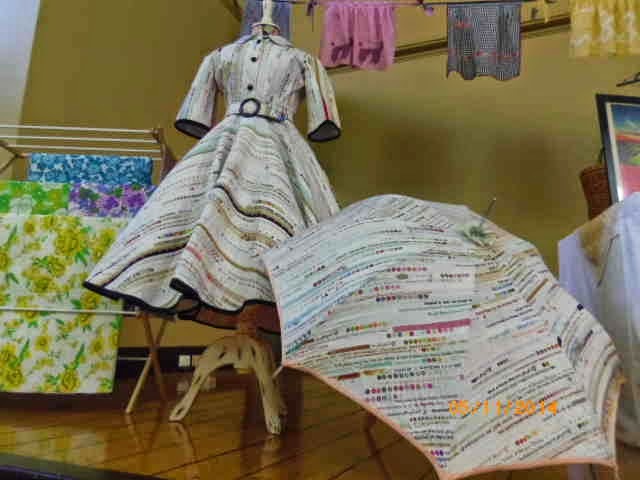 Dress and brolly made up of selvedge edges. 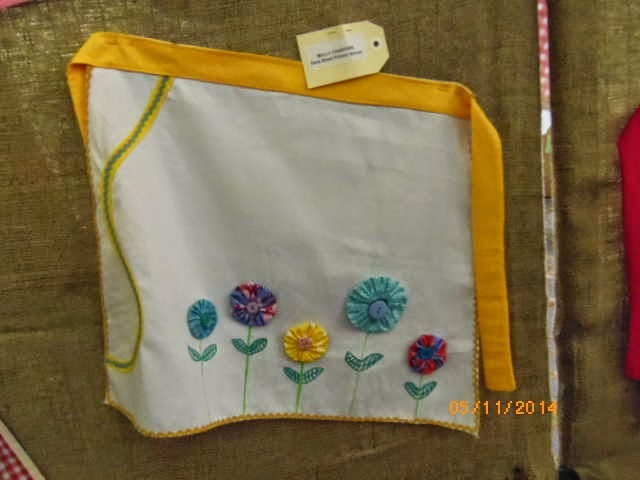 I loved this idea using Suffolk Puffs (yo-yos) and buttons to make up flowers! 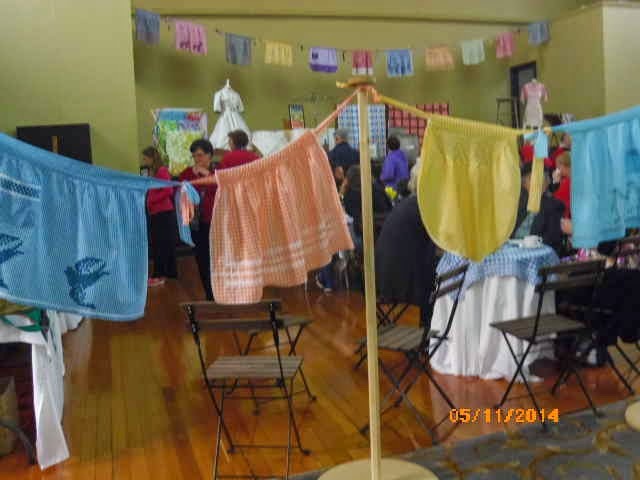 Above and below - two of the volunteers who put this show together, wearing their lovely skirts and petticoat layers.